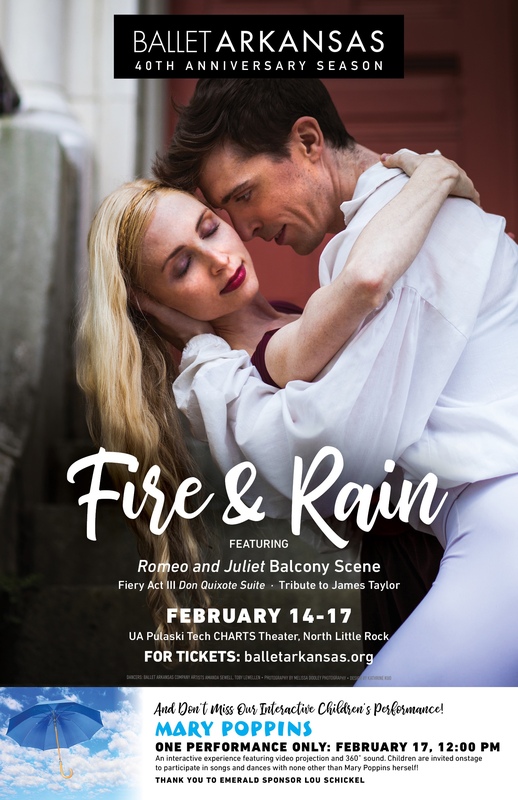 Don’t miss Ballet Arkansas’s Fire & Rain at UA-Pulaski Technical College’s Center for Humanities and Arts February 14 – February 17. The production will feature the iconic Romeo and Juliet balcony scene; Fiery Act III Don Quixote Suite, and a tribute to James Taylor. Get a special $10 off your tickets for one of the five performances with code BARRE at balletarkansas.org. Call the CHARTS Box Office to learn more! 501-812-2387.